This compact USB Bluetooth adapter offers the highest power Bluetooth (Class 1) for up to 100m range and runs Bluetooth v2.1 + Enhanced Data Rate (3 Mbit/s). 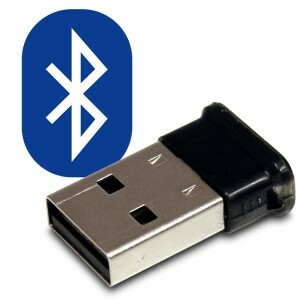 StarTech's Class 1 Bluetooth Adapter with EDR is a micro-sized adapter that adds Bluetooth capabilities to a computer through an available USB port. This makes it possible to connect to devices wirelessly at ranges of up to 100m (328ft), with minimal power consumption. It's very useful for wireless synchronisation between your PC and mobile phone, or for listening to music and audio through a wireless Bluetooth headset etc. The adapter supports the Bluetooth v2.1 specification along with Enhanced Data Rate (EDR), giving transfer rates of up to 3 Mbps. It uses a small form factor design that makes it conveniently portable and unobtrusive when connected to a computer. Like all Quiet PC products, it comes with a 2-year warranty and free lifetime technical support.